November 5, 2013—Israeli soldiers captured during the 1973 Yom Kippur War were subjected to brutal torture in Egypt and Syria. Held alone in tiny, filthy spaces for weeks or months, sometimes handcuffed and blindfolded, they suffered severe beatings, burns, electric shocks, starvation, and worse. And rather than receiving treatment, additional torture was inflicted on existing wounds. Forty years later, research by Prof. Ruth Defrin of the Department of Physical Therapy in the Sackler Faculty of Medicine at Tel Aviv University shows that the ex-prisoners of war (POWs), continue to suffer from dysfunctional pain perception and regulation, likely as a result of their torture. The study—conducted in collaboration with Prof. Zahava Solomon and Prof. Karni Ginzburg of TAU's Bob Shapell School of Social Work and Prof. Mario Mikulincer of the School of Psychology at the Interdisciplinary Center, Herzliya—was published in the European Journal of Pain. "The human body's pain system can either inhibit or excite pain. It's two sides of the same coin," says Prof. Defrin. "Usually, when it does more of one, it does less of the other. But in Israeli ex-POWs, torture appears to have caused dysfunction in both directions. Our findings emphasize that tissue damage can have long-term systemic effects and needs to be treated immediately." The study focused on 104 combat veterans of the Yom Kippur War. Sixty of the men were taken prisoner during the war, and 44 of them were not. In the study, all were put through a battery of psychophysical pain tests—applying a heating device to one arm, submerging the other arm in a hot water bath, and pressing a nylon fiber into a middle finger. They also filled out psychological questionnaires. The ex-POWs exhibited diminished pain inhibition (the degree to which the body eases one pain in response to another) and heightened pain excitation (the degree to which repeated exposure to the same sensation heightens the resulting pain). Based on these novel findings, the researchers conclude that the torture survivors' bodies now regulate pain in a dysfunctional way. It is not entirely clear whether the dysfunction is the result of years of chronic pain or of the original torture itself. But the ex-POWs exhibited worse pain regulation than the non-POW chronic pain sufferers in the study. And a statistical analysis of the test data also suggested that being tortured had a direct effect on their ability to regulate pain. 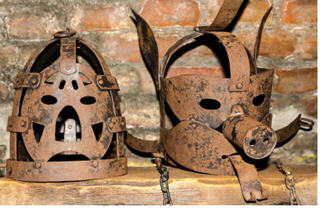 The researchers say non-physical torture may have also contributed to the ex-POWs' chronic pain. Among other forms of oppression and humiliation, the ex-POWs were not allowed to use the toilet, cursed at and threatened, told demoralizing misinformation about their loved ones, and exposed to mock executions. In the later stages of captivity, most of the POWs were transferred to a group cell, where social isolation was replaced by intense friction, crowding, and loss of privacy. "We think psychological torture also affects the physiological pain system," says Prof. Defrin. "We still have to fully analyze the data, but preliminary analysis suggests there is a connection." Press materials provided by the American Friends of Tel Aviv University.